Recently we were honored to be featured in Nikkei West, a news site covering the Japanese American community. 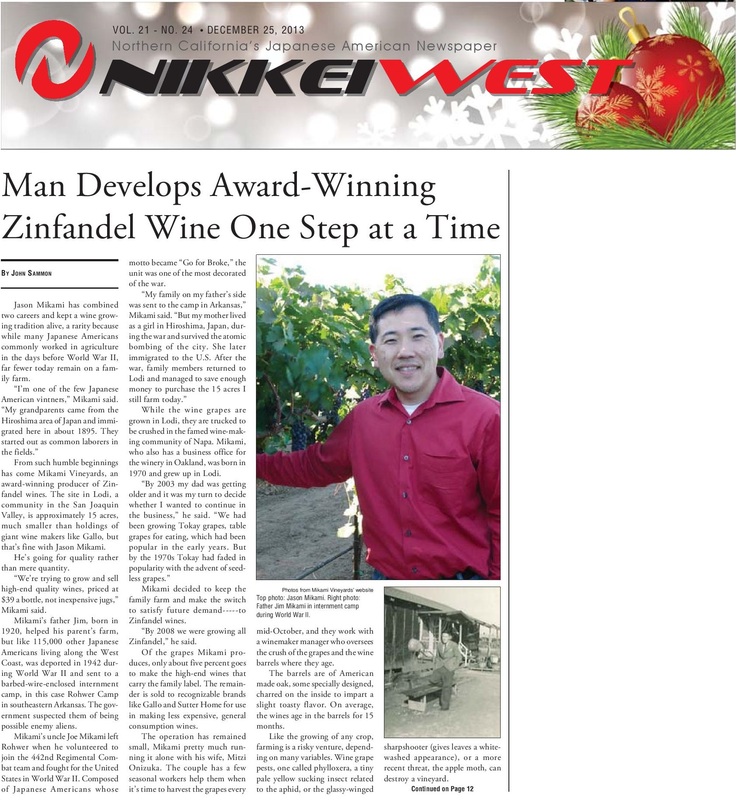 As noted in the article, we are proud to be one of a small number of Japanese American families engaged in the grape and wine business. During the early to mid-2oth century, Japanese immigrants were an integral part of California agriculture. However, now in the 21st century, very few of the children of those laborers still engage in farming. With our wine, we hope to honor the tireless efforts of our parents and grandparents. We hope you enjoy the article. Please click on the images to enlarge.